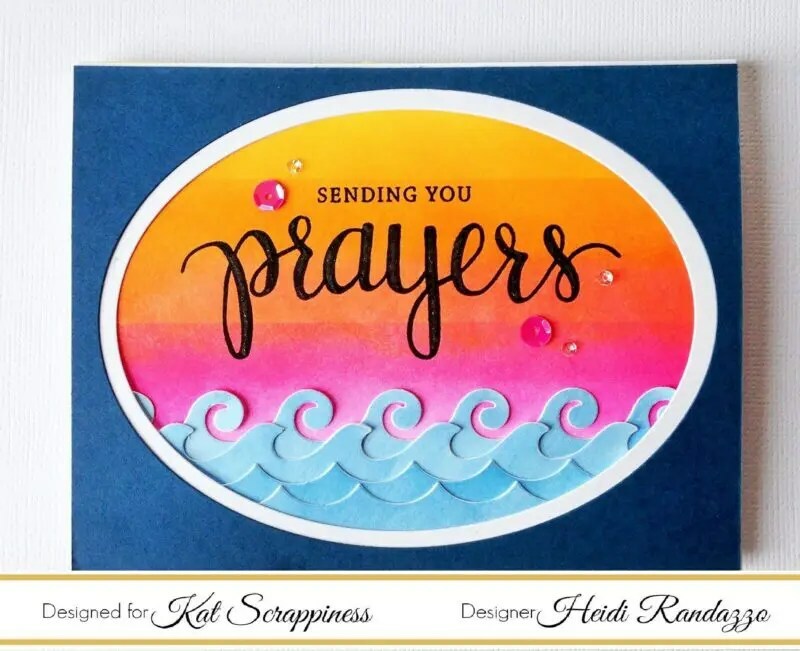 It’s Heidi, and I’m back with a project using the Never Ending Oval Dies as well as the Waves Border Dies. Every once in awhile, we need to send cards to people during difficult times. Soothing words and comforting scenes are always nice options for these types of cards. 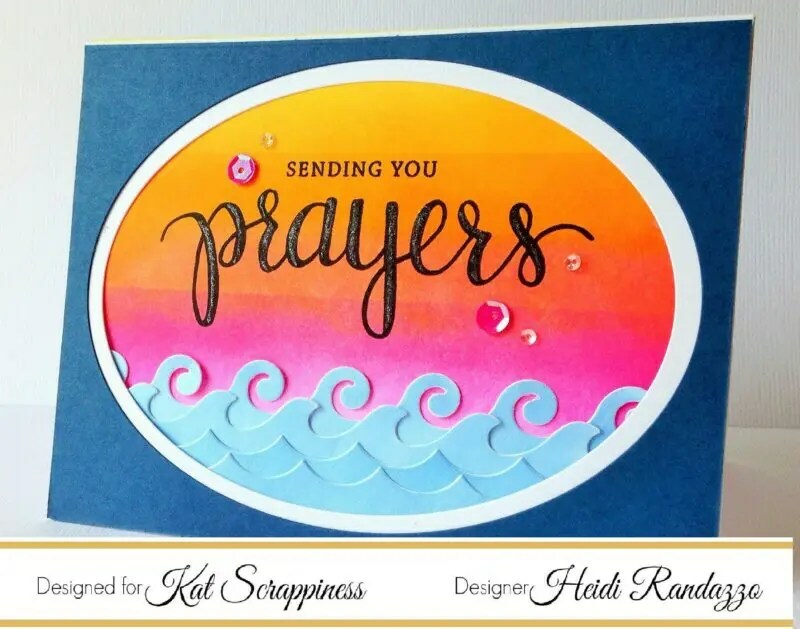 I thought the waves paired with a sentiment from Hero Arts Prayers Stamp & Cut set would work really well. 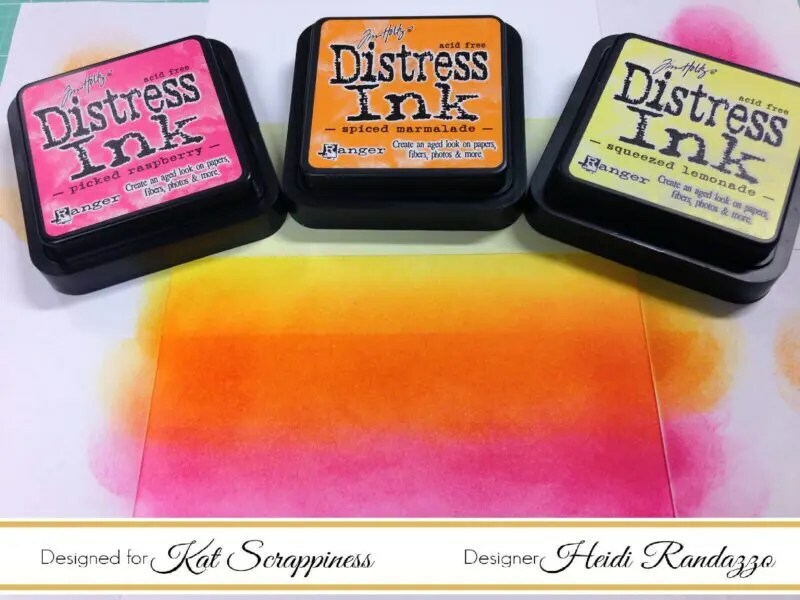 I started off with 3 colors of Distress Ink to create a sunset to go over the water. Using Post-It tape, I masked off 3 sections to layer the colors with an ink blending tool. When I was done, I used my ink blending tool and more ink to blend the lines together. 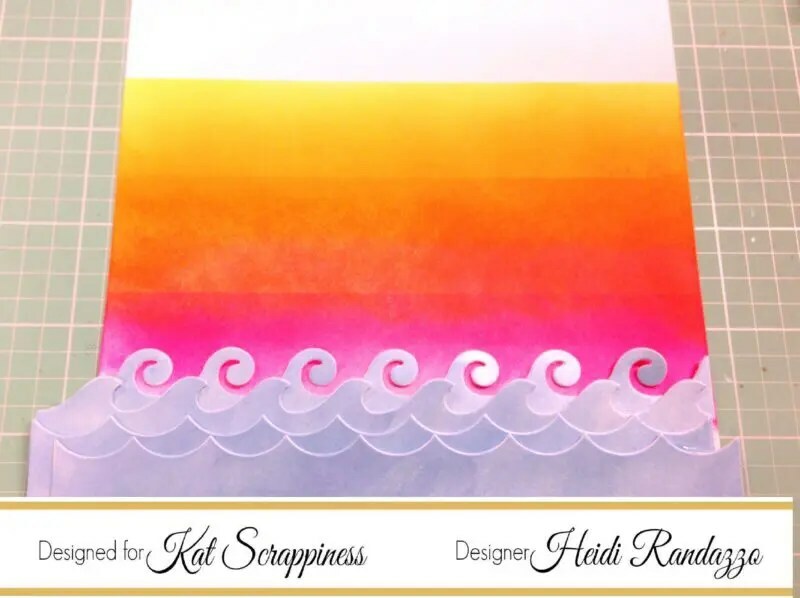 For the waves, I die cut one of each of the Waves Border Dies with an extra scalloped wave to make four total. 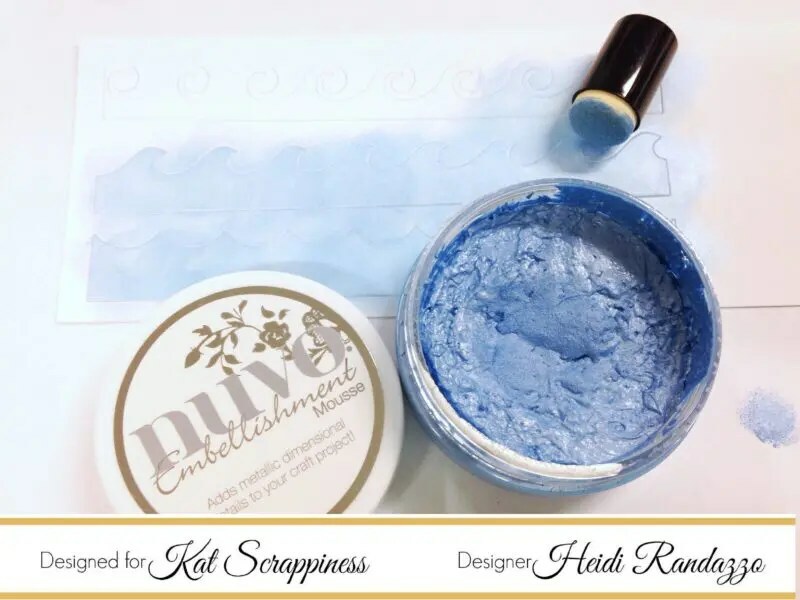 I used white cardstock and did not separate them from the paper until after blending some Nuvo Embellishment Mousse in Cornflower Blue onto each wave. This was my first time using the mousse and now I want every color! It blends like butter and gives a subtle frosted sheen that is so pretty. 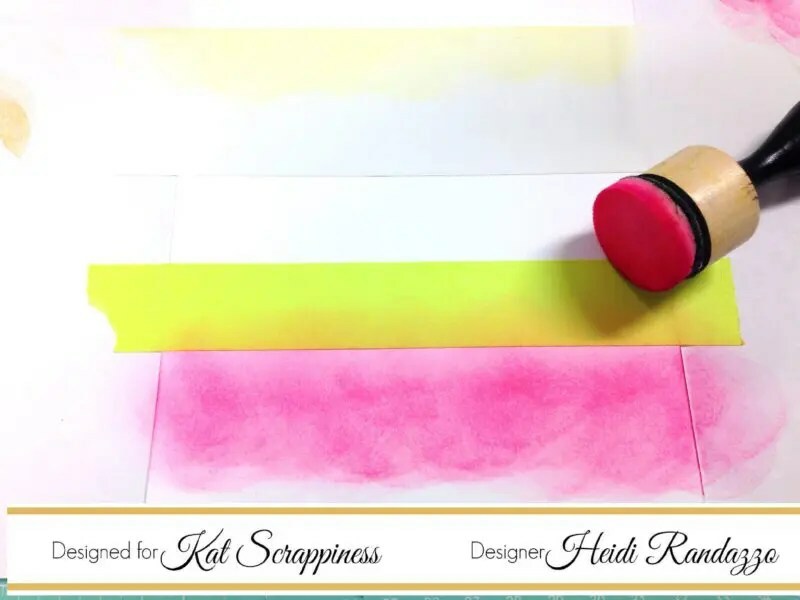 After blending the mousse onto the waves, I adhered them to the bottom portion of my notecard using Ranger Multi Medium Matte and cut off the excess on the sides. Using the second largest Never Ending Ovals die, I cut a frame from navy blue cardstock to adhere to the front of my notecard. Before securing the frame down, I placed it over the front of my card so I could stamp the sentiment right where I wanted it. 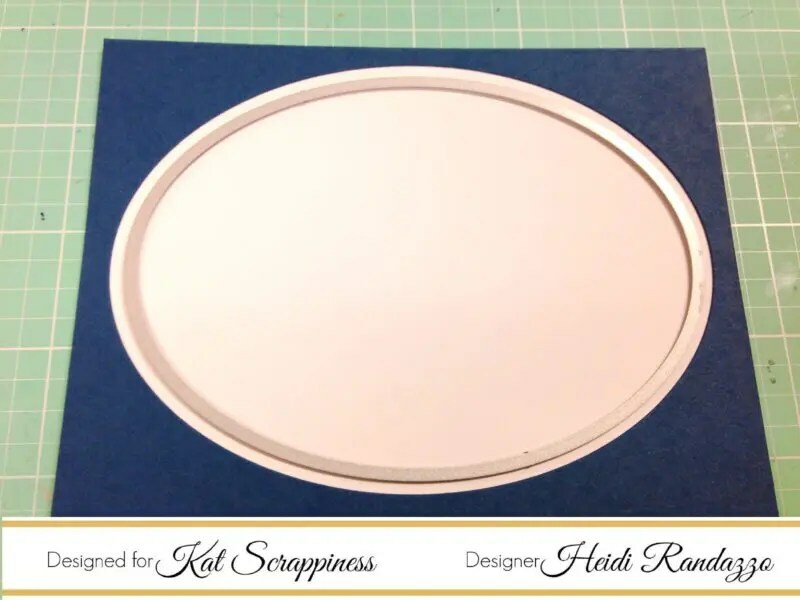 I decided the navy blue frame needed something else, so I took the oval a size below the one I used originally, and die cut it into some white cardstock to create a mat to go underneath the navy frame. 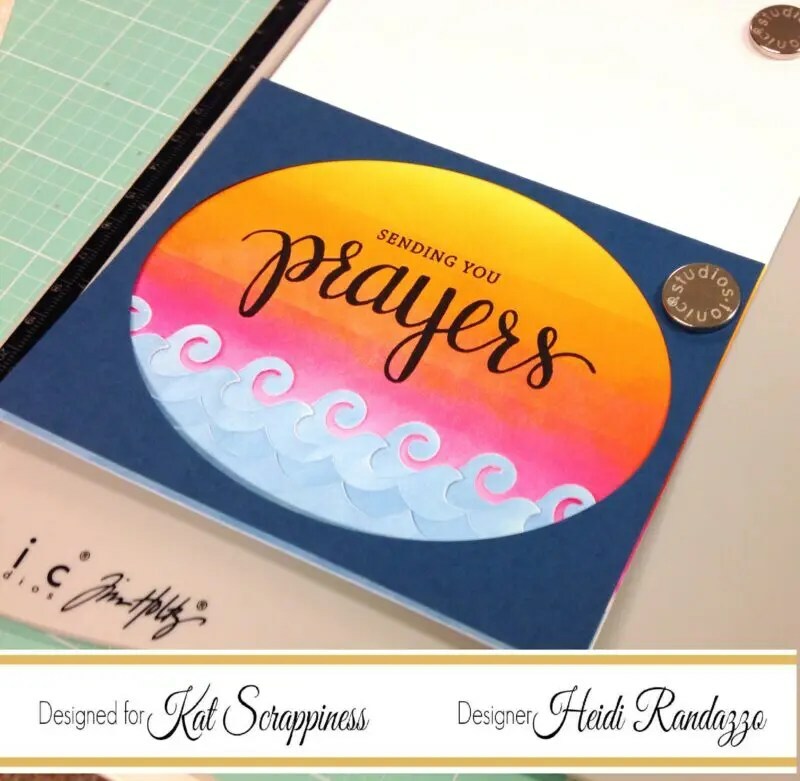 I decorated the word “prayers” with a Spectrum Noir Clear Overlay Sparkle Marker just on the thicker areas to highlight them. I added a few large sequins from the Rock Candy Sequin Mix and a couple of tiny clear sequins from the Peppermint Twists Sequin Mix. 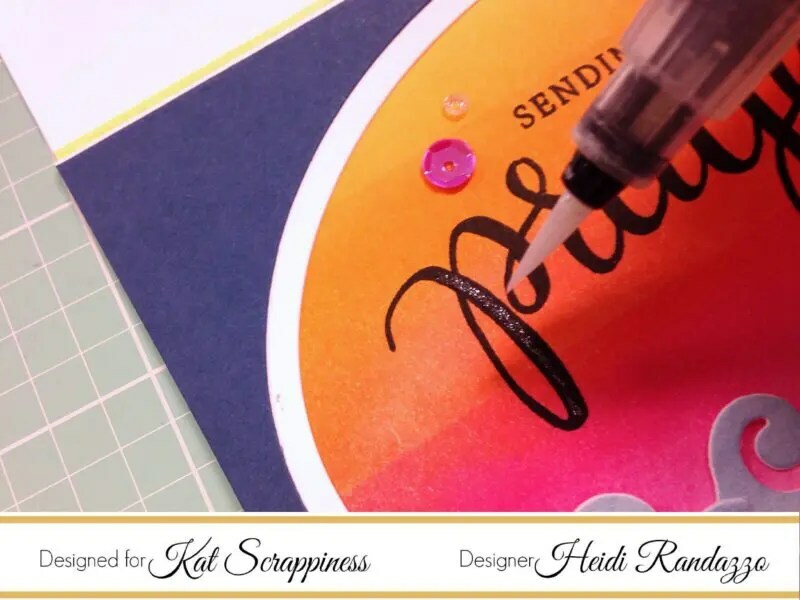 These little sparkle sequins that come in some of Kat’s mixes are great, because you can use them alone just when you need a little something, but not too much, for an embellishment. I used Glossy Accents to adhere them to the card. Thanks so much for joining me today. 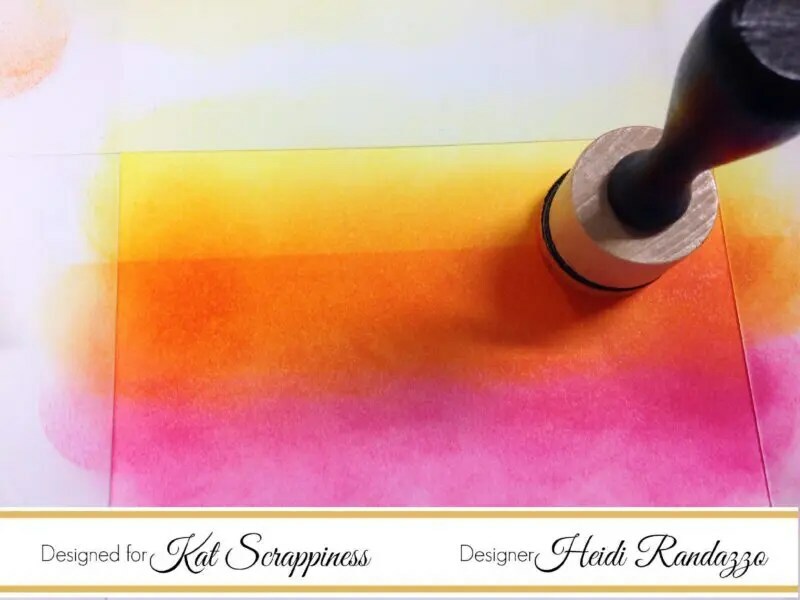 You can head over to the Kat Scrappiness store to shop for the supplies I used on this project. Be sure to use the coupon code: Heidi10 to get 10% off your order. Have a great day! Heidi, your card is so lovely and will surely lift someone’s spirits. I love the beautifully blended colors of the sky and your step by step tutorial. So awesome! Awesome card ! And those bright colors are amazing !